Facebook&apos;s overhaul of messaging doesn&apos;t end with the website, the social network has introduced a new standalone app for iOS and Android that&apos;s all about sending messages to your friends. Facebook Messenger works directly with your Facebook messages on the site, but it also supports SMS, so you can communicate with people in your contacts that aren&apos;t on Facebook or your friends list. The new app was built by the Beluga group messaging team, which Facebook acquired last year, and is designed to be Facebook&apos;s answer to the group messaging trend, which has spawned services like GroupMe and Apple&apos;s forthcoming iMessage. 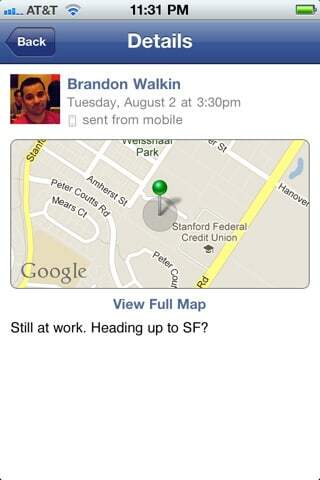 Messenger enables you to add your location to your messages and attach pictures as well. Download it here.